The network operation center is the IT unit’s command center, providing real-time data and tools to monitor, measure, and provide notifications regarding the performance of the organization’s IT systems – infrastructure, applications, and services. 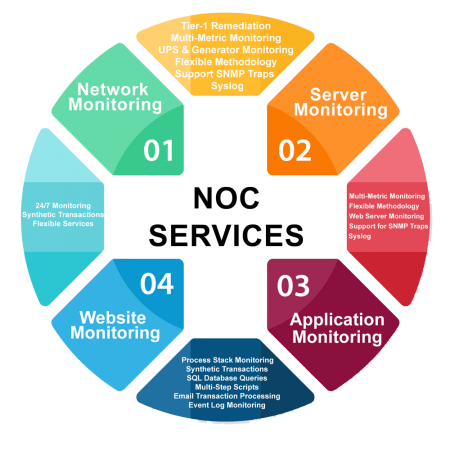 The role of the network operation center (NOC) is to monitor, measure, operate, analyze, and improve the service provided by the IT department to the organization. The current trend is to evolve from a classic command and control system focused on infrastructure to a command and control management/business service management (BSM) system that also monitors applications from a business perspective! The addition of "management" refers to leveraging of command and control as a decision-making tool and a pro-active service. training and implementation of command and control management systems. upgrading and maintaining the existing command and control system, with a focus on processes and licensing aspects.